Why do we not speak of our compassion and spiritual, core values in public health? This is the key question we addressed in this 9 March Global Health, Nutrition and HIV CoP Webex. 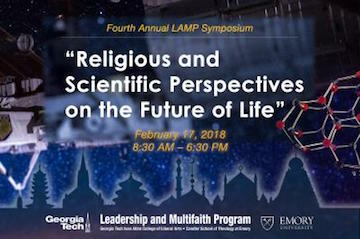 To understand the role of spirituality in global health practice and identify factors that influence and limit its expression, Dr. Addiss initiated conversations and informal interviews with more than 300 global health leaders, students, and practitioners. Dr. David Addiss spoke to the Mass General Hospital Global Psychiatry Division about compassion and global health. Their mission is to strengthen the global delivery of quality psychiatric care through bi-directional research, training, technical assistance, and service delivery with international global partners. They accomplish this through capacity building and training, research, technical assistance and policy development, and constant, rigorous self-evaluation. 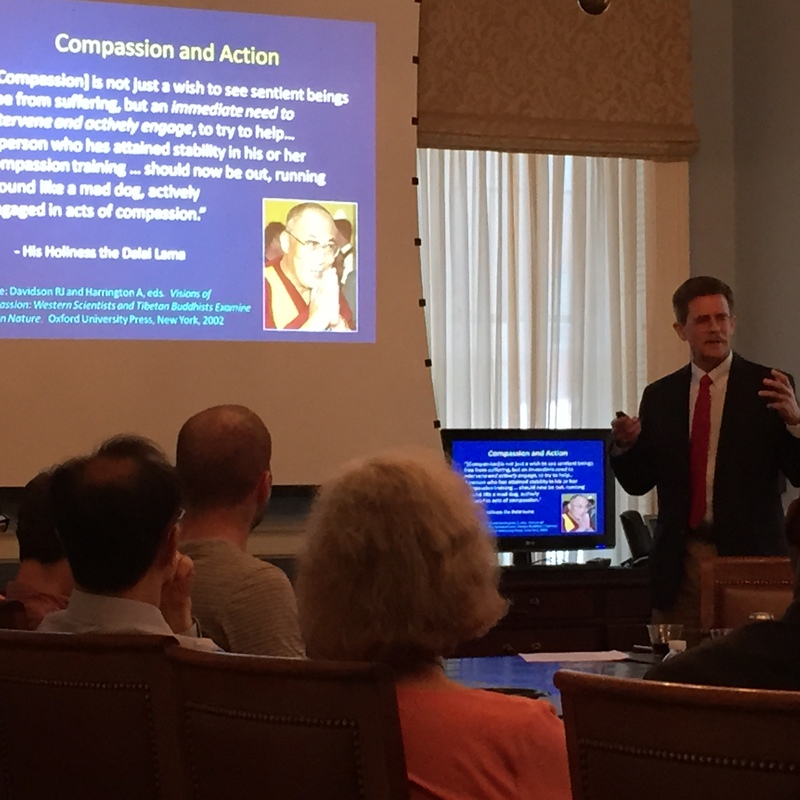 Attended by over 250 students, faculty, and guests, Dr. David Addiss presented a seminar that explored global health as a spiritual practice, with a focus on the crucial role of compassion. Global health aims to improve the health of all people, and is established on a foundational awareness of deep human interconnectedness. This lecture was sponsored by the Center for Rare and Neglected Diseases, College of Science, Eck Institute for Global Health, Notre Dame Haiti Program, Hillebrand Center for Compassionate Care in Medicine, Kellogg Institute, Kroc Institute, and the Office of Research. Dr. David Addiss presented a lecture about “Compassion and Neglected Tropical Diseases” to students and faculty at the Swiss Tropical Public Health Institute, Basel, Switzerland. Global health: What’s compassion got to do with it? 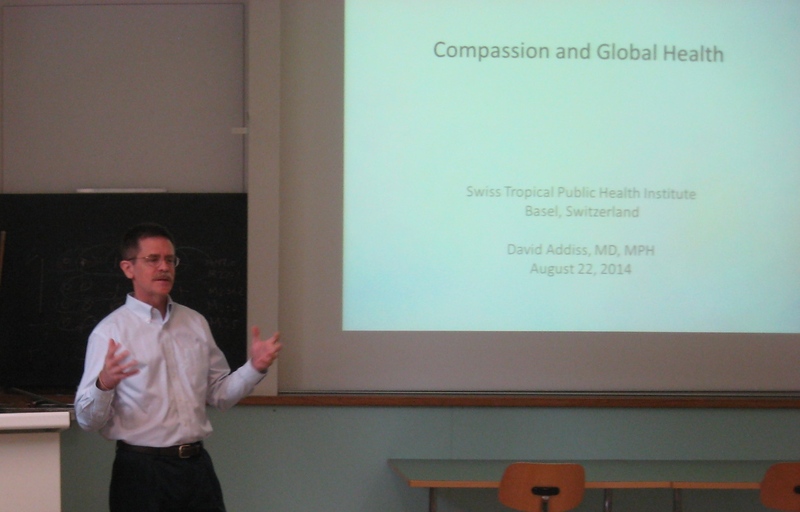 This online presentation by Dr. David Addiss explores the role of compassion in global health. Unlike hospitals and medical centers, which frequently highlight compassion in their mission statements and core values, the word “compassion” is rarely heard within global health organizations, training programs, or literature. This seems curious given the significance of compassion as a key motivation for many in global health and given the millions of compassionate acts that are offered each day in primary health care clinics, refugee health units, and public health programs around the world. Our collective silence on such a core shared value isolates us as individuals and predisposes the field of global health to distortion by commercial, institutional, military, and political interests. In this seminar we explore the role of compassion as motivation for global health, examine how it can be diminished, and identify challenges to, and opportunities for, compassionate action in this field. We also explore how reconnecting with our own sense of compassion might influence the field of global health. Compassion is a fundamental source of motivation and a core driver for those working in the field of global health; yet the role of compassion in global health remains unclear and can itself lead to undesired consequences. Interest in the practice of global health is dramatically increasing in students, educators, practitioners and researchers. As the pursuit of global health opportunities grows, palpable tensions arise between the expression of compassion, the ethics of practicing healthcare in different cultures and the staggering health needs of large populations of vulnerable people. 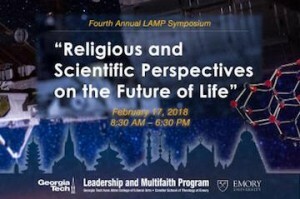 Through expert faculty, a keynote address, interactive workshops and a career planning session, the 2012 symposium provided learning opportunities to begin to analyze and reconcile these tensions. Prominently featured were critical discussions about the many ethical questions surrounding compassion, ethics and practice in global health. Download presentations from the Fifth Annual Pediatric Global Health Symposium here.